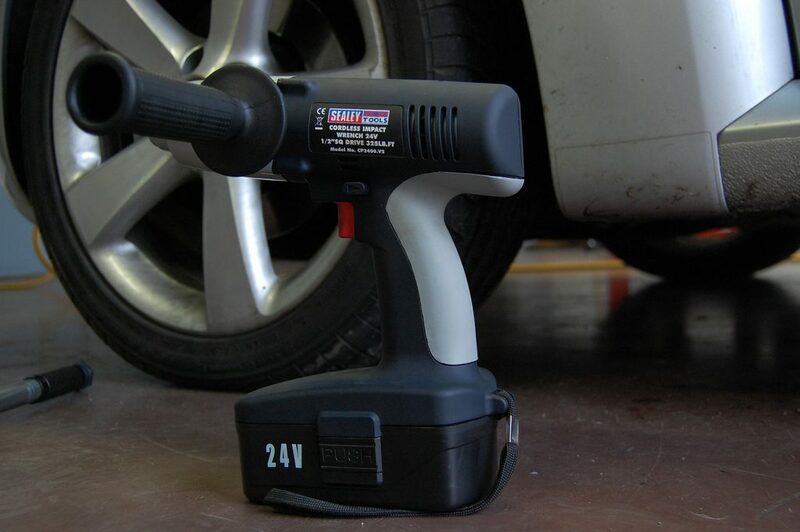 Using a cordless impact wrench for automotive use makes light work of any bolts that refuse to move. It is a must have tool for anyone planning on removing a large quantity of bolts such as lug nuts or other automotive components. The best impact wrench for automotive use is the Ingersoll Rand W7150-K2, which is lightweight and will easily remove lug nuts with 13,200 in-lb of torque. 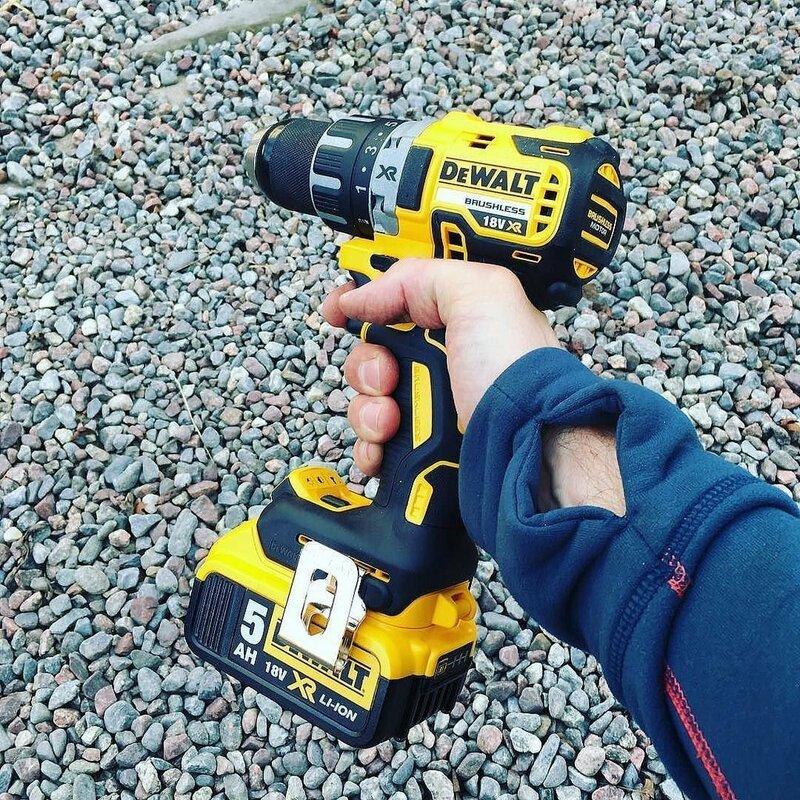 Compared to the standard impact wrench, a cordless alternative is more portable and means you are able to move around without the hassle of being connected to an outlet. With the right tool for the job, you will work far more efficiently. From a rusty bolt to ones that simply do not want to shift. The latest cordless impact wrenches are designed exactly for these situations and use powerful batteries with a large amount of torque. Unlike the corded or air tool alternatives, you are able to move around freely without the restriction of a cord yet still have all the power needed. Be sure to check whether the tool you purchase has various socket sets included as this will help you tackle all the different types of bolts. Removing tough lug nuts as well as other nuts and bolts whilst working on your car can become fairly tiring without the correct tools. Below is a list of the best cordless impact wrenches for automotive use that include attachments. The Ingersoll Rand W7150-K2 is one of the most popular impact wrench on the market and everything is built with quality in mind. However, be warned that it is expensive but if you are an mechanic, this is exactly what you want for daily usage. If maximum torque is what you require, this impact wrench is the best option. It has an impressive 13,200 in-lb of torque, which is more than enough for automotive use. Weighing so little, you would expect the battery to be poor, however the two Lithium Ion batteries were fairly efficient and would easily keep charge for over 4 hours. Included in the kit is two batteries and the charger, which allow you to always keep at least one of the batteries fully charged. As you can see from the amount of features, this is a perfectly capable cordless impact wrench that can be used for a range of applications. The metal reinforced housing makes it a heavy duty tool for those working in tough environments too. Milwaukee is not the biggest branded cordless impact wrench, however it has a serious amount of power. The Milwaukee delivers 1,800 inch-pounds of torque and has a brush-less motor that delivers 0-3000 RPM at a constant power. Milwaukee’s patented DRIVE Control enables you to have maximum control of the speed and power. They 4 different modes include 0-850 RPM, 0-2,100, 0-3,000 RPM and a designated self-tapping screw mode. The brand offer several cheaper models but if you want maximum performance on a budget, the 2753-22 M18 is the best option. Bosch are another big player in the machinery world just like Dewalt and with their IWBH182B impact wrench, they provide a different aspect with a hybrid wrench. It is made a hybrid by the ability to take both a 1/4 inch hex and 1/2 inch socket. The brush-less motor in the IWBH182B claims to have twice as much motor lifetime than some of its competitors. It uses the latest technology to ensure electronic and cell protection to prevent overheating and overloading. Such technology is the “Cool Pack” that involves heat conductive housing to keep the battery at optimum temperature to ensure it has a long life. The Bosch cordless impact wrench is the direct competitor to the Dewalt and very similar priced. Dewalt are one of the biggest manufactures of tools and machinery and they do not disappoint with their cordless impact wrench. The DCF883M2 is one of their most popular models that is compact and lightweight, which is great for automotive use. Dewalt use the XR Li-Ion batteries that provides a third more battery power than standard packs and you can also view how much battery is left using the fuel gauge provided. This is a really important feature for those that rely on good battery life. Overall, the DCF883M2 is fairly expensive but for the large price tag, you do get superior build quality and the reputable brand. It is the best cordless impact wrench available and even comes with an extra battery, heavy duty case and a charger. The last in the list is the Ryobi P261 impact wrench which is one of our budget recommendations. It is a cheap and powerful cordless impact wrench that is great for automotive use from lug nuts to rusty bolts. Although it is fairly low powered compared with the more expensive alternatives, it is still has more than enough power for lug nuts and other bolts. However, as it is a budget cordless impact wrench, it will not last as long as the alternatives but for the average car owner that will use it once or twice a year, its ideal. The market for cordless impact wrenches is massively saturated with a product for almost all solutions. However, the above are all suited for automotive applications such as changing tires with tough lug nuts being a major problem. Without a powerful impact wrench for automotive use, you can find yourself struggling to remove old bolts that will simply not budge. It is a tool that you will want alongside your torque wrench in order to work smarter and not harder. The main feature many people will ask is what is the power of the impact wrench. All impact wrenches have a max torque with various torque settings but it is not necessarily a number you should focus too much on. Over torquing nuts and bolts can become problematic i.e. wheel lugs that are impossible to take off on the roadside. Ingersoll Rand mentioned that over tightening of lug nuts can even cause the wheel to fall off completely. On the packaging or documentation of the automotive component that you are tightening, you will be able to see the max torque setting. You may be surprised by how little is actually required and this may sway your buying decision if you are purely basing it just on the torque. It is important to make sure that you are reading the correct measurements when comparing between different impact wrenches. Some manufacturers like to define torque ratings in ft-lb whereas some prefer to use an in-lb rating. Within this article, we have kept to in-lb torque rating but if you divide the rating by 12, you will have the equivalent ft-lb rating of the wrench. Alternatively you can use an inch pounds to foot pounds calculator. The majority of cordless impact wrenches will have around 2,500 – 3,000 RPM’s with the more RPM resulting in less user effort. Variable RPM is a feature that is found on some impact wrenches, which can be particularly useful for rusted bolts where a lower RPM is more appropriate to prevent damage to the bolt. Often confused with RPM is the IPM (Impacts Per Minute) rating, which is the amount of times it hits the anvil in a minute. The higher the IPM means that the wrench should be able to overcome much larger resistance. The benefit of a cordless impact wrench over the corded alternative is that its more portable. However, if it weighted down by a heavy battery it can seem pretty pointless because you will need to give your arm a rest during long periods of use. As technology has improved over the years, the cost of lightweight Lithium Ion batteries has decreased. This means a lot of the corded impact wrenches use this type of battery to ensure the complete weight of the battery is a light as possible. All the batteries will be given an Ah rating, which is the “Amperage Hours” of the battery. The higher the Ah rating will reflect on how long the charge will stay with the battery. Overtime batteries do lose their charge and this is a big factor to consider. It is also important to remember that some manufacturers will show different weight ratings. They will either be the bare tool or the tool combined with a battery. Be sure to compare between tools respectively if weight is a big issue. Most cordless impact wrenches are either a 18V or 20V with the latter being the more powerful. You can find the voltage printed on the tool itself (as shown below) or on the battery of the cordless impact wrench. For automotive use, voltage of 16V to 20V will be ideal but in other applications, a higher voltage may be required. Higher voltage tools often come with an inflated price and this may be something to consider. The drive size of a cordless impact wrench increases the torque performance with the larger (1/2 inch) offering greater strength. It does vary depending upon your usage and the type of applications that you will be using the tool. The basic design of an impact wrench is fairly similar between the brands but some do offer other design features. For example, the Bosch IWBH182B recommendation offers an extra small grip diameter so that it is easier to hold for long periods. Many of the premium options come with LED lights that are directed towards the work area to help with poor lighting conditions. Spending the small amount extra can make a huge difference and improve your work rate. If you are looking for brute force and ease of swapping the nuts from the impact wrench, then the Milwaukee M18 is the one due to the monster power that it has. However, the overall favorite is the Dewalt DCF883HM2 because it is great for everyday use that you may carry out, from heavy duty to DIY in the house. All of our recommendation in the article are suited to different applications of use. Professionals that work within the automotive industry may prefer the heavy duty Ingersoll Rand W7150-K2 but of course, this will not be suited to those on a budget. If you are fed up of tight bolts that simply wont shift, then investing in the best cordless impact wrench can make a huge difference. They are relatively expensive but they will last many years of heavy usage unlike many other tools.